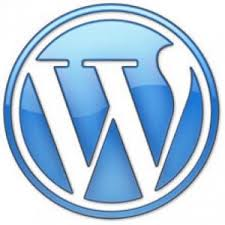 WordPress has come a very long way in a relatively short period of time. In particular, the releases of the last two years, along with the fast growing base of plugins, have made the platform incredibly flexible for content management. More and more, WordPress’ blogging features don’t feel like they’re being bent to achieve general content management duties. It’s been an incredible transformation, to the great credit to the WordPress development team. I am a big fan of making software interfaces as easy as possible, for the simple reason that it increases user success in profound ways. Small, thoughtful improvements, often boring for seasoned experts and developers, can dramatically improve the results achieved by the enormous base of WordPress users. 1. Synchronize the drop down menu on the admin header bar with the admin sidebar menu. While the sidebar can get a bit long, there is no reason why the admin flyover menu in the omnipresent header can’t match the choices of the admin sidebar menu. 2. Standardize the theme customization interface. I don’t mean all themes should have the same options; that would defeat the purpose of themes. But all themes should have a single entry point in the control panel for customization. Right now, depending on the theme, it’s a confusing mix of choices in the Appearance menu area, the “Theme Options” menu choice (admin header flyover and Appearance menu), and the Appearance/Themes/Customize button. Worse yet, the Appearance/Customize menu choices, largely redundant with the Settings menu choices, muddies the water between standard WordPress display options and theme options. I don’t have a clear vision for how to better present this to users, but it is confusing and needs restructuring. 3. Distinguish admin plugin menu choices from admin WordPress standard menu choices. Plugins authors might feel this hurts their brand visibility, but in the end, they are ultimately better served when users are more successful with WordPress (and the plugins). Experienced WordPress users may dismiss these as minor issues, or relate to them as “yeah, that bugs me to, but it’s no big deal.” I often have that reaction as well. However, these changes would make WordPress more accessible to beginning users, allowing them to progress more quickly from WordPress basics to understanding the environment and how much control they have over the appearance of their web site.